Jeanette L. Ojeda – Saunders & Ojeda, P.C. 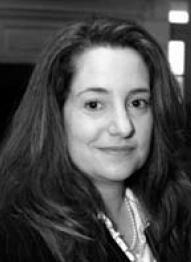 Jeanette L. Ojeda has practiced law in Virginia since 2002. Since admission to the Virginia and Florida bars, she has concentrated her practice on corporate and business law. Ms. Ojeda represents and counsels individuals, small businesses and large corporations on myriad business matters pertaining to formation, structural, operational and contractual issues, commercial transactions, mergers and acquisitions and joint ventures. She also advises clients regarding licensing, contracting, and the development and protection of copyrights, trademarks, and trade secrets. Ms. Ojeda received her undergraduate education from the University of South Florida and her law degree from Regent University. Fluent in Spanish, she is a member of local, state and federal bar associations. Ms. Ojeda and her family reside in Suffolk and she is active in local charitable organizations.